Model FB5B Tape edging machine mattress sewing machine is a new type of automatic flip edge machine designed for heavy mattresses. 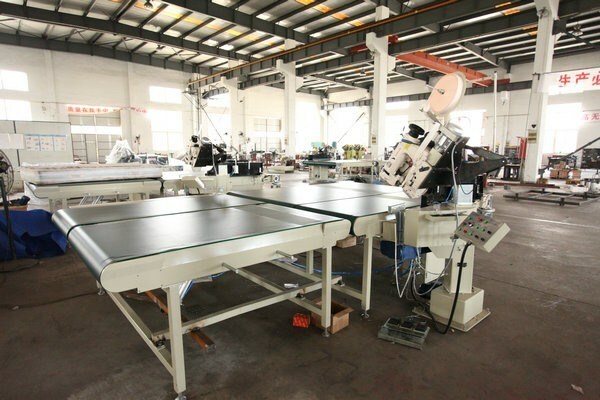 For the sewing head lift and pitch part of the re-optimized design, so that more easily lift, a larger lift range, the needle in the horizontal direction of the amount of change is smaller, can easily qulified 3 to 40 cm mattress sewing. 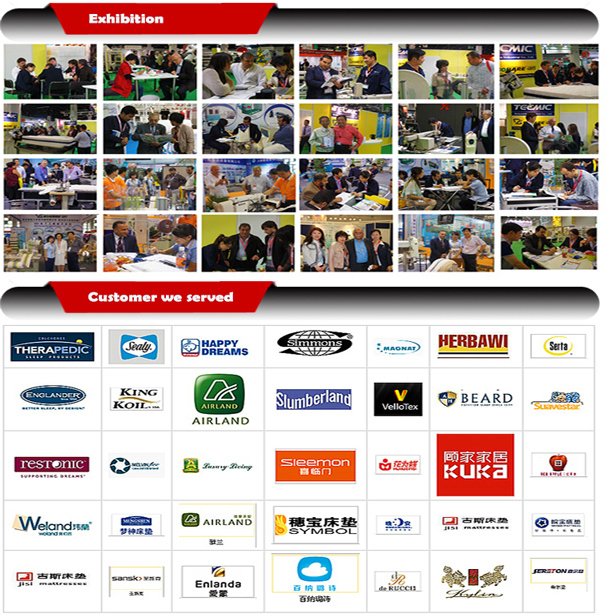 At the same time the table structure has also been optimized to increase the bilateral turn on structure, to avoid the flip on the mattress and coutertops impact damage. 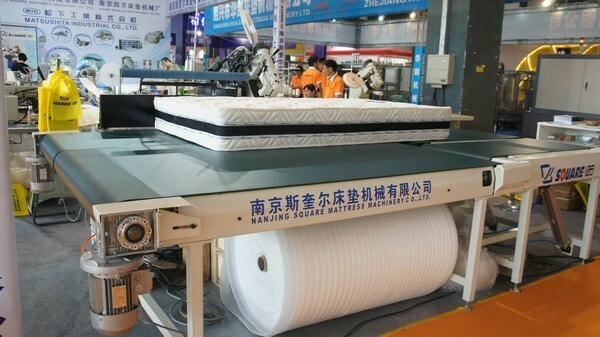 This model is the first choice for the production of high-grade heavy-duty mattresses. Â Â (if necessary) interpreting fee for seller's technician. the seller dispatches the machines. 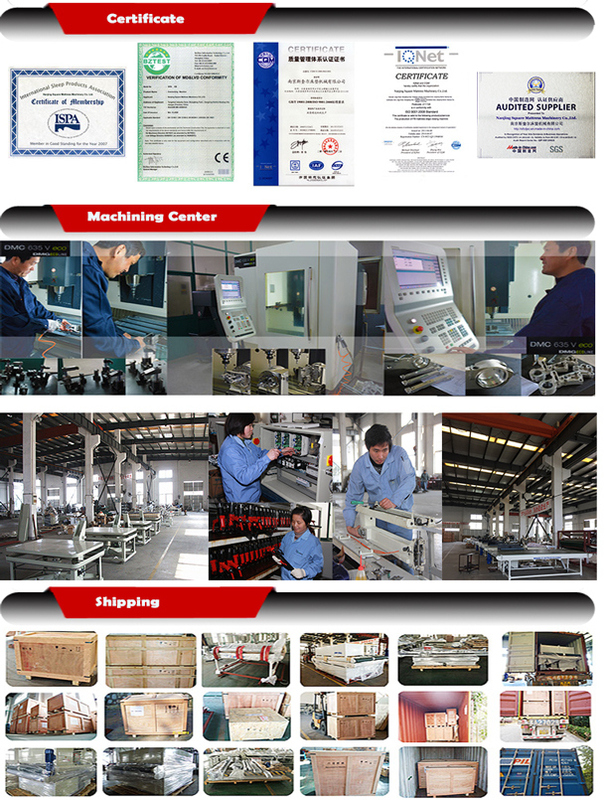 For the detailed guarantee period of each part, please refer to the operation manual.Wearing parts,consumption material and the damage incurred by the buyer's incorrect operation are out of warranty range. China is 220v 1phase 50Hz / 380v 3phase 60Hz. If different, please inform us in advance.